There is more to this question than just the freedom to insult people - there are some kinds of speech that should be prohibited in a civilised society. Still, Rowan Atkinson is right on the ludicrous consequences of Section 5 of the Public Order Act and it is entertaining to hear him put the case. 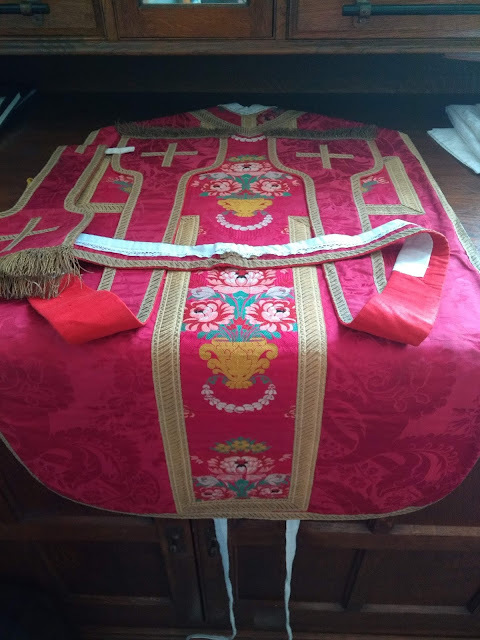 Mac McLernon at Mulier Fortis has posted some more photos of our Quarant' Ore.
Our Forty Hours finished this morning with 10.30am Mass coram sanctissimo. It is a great blessing to be able to have such a devotion in the parish. People are generous in giving their time, day and night, to come and watch before Our Lord, and I have not doubt they will receive many blessings from Him. 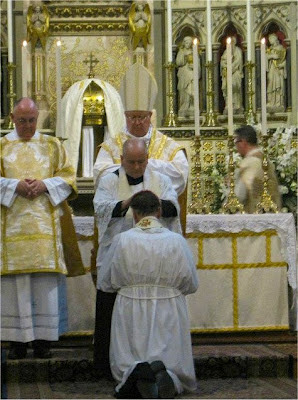 It is good for the priest too, to be there on the sanctuary as a priest (with cotta and white stole) praying together with his people, "a member of each family yet belonging to none." 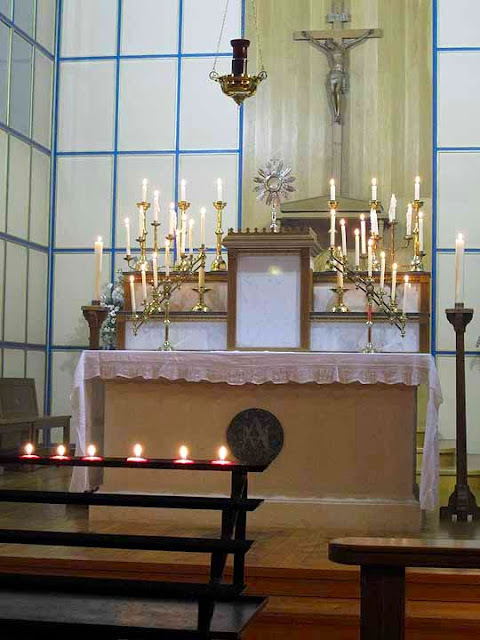 I think that Our Lord works powerfully through this devotion, as though the illumination of His presence goes beyond those who come and watch, and passes through closed doors throughout the parish. Perhaps a marriage will be saved, or a man converted, or some discord settled. We do not know how Christ will use the little that we offer Him. At the Colloquium of the Confraternity of Catholic Clergy, Fr Stephen Langridge, Vocations Director for the Archdiocese of Southwark, gave a presentation explaining the rationale of vocations promotion and in particular, the change of model from recruitment to discernment. He quoted Pope Benedict who pointed out that the priesthood is not like other professions: we cannot simply recruit people by using the right kind of publicity. We need to accompany those who are discerning their vocation, and be ready to give spiritual direction and advice. If a young man confides that he thinks he might have a vocation, it is no good telling him to come back after he has finished at university. 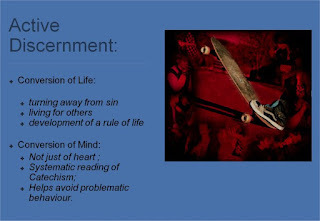 Fr Langridge pointed out that the process of discernment involves a conversion of life - turning away from sin, especially habits of sin, being involved with the service of others, and developing a structured rule of life appropriate to one who is considering preparing for sacred ministry. “Quam bonum et quam iucundum habitare fratres in unum.” The Colloquium of the British Province of the Confraternity of Catholic Clergy was a great success. I missed lunch, having to travel after my morning duties in the parish, but arrived in time for the first Mass, celebrated by Bishop Philip Egan. An entertaining point in his sermon was his emphasis on the fostering of union with Christ which cannot be brought about by programmes or structures. He said that he did not believe in the doctrine of sola structura. Bishop Egan also encouraged us to make our own his desire to be humble and holy, orthodox, creative and courageous. Fr Michael Lang spoke in the evening on the subject of “Fifty years after Sacrosanctum Concilium, Towards a New Liturgical Movement.” As we have come to expect from such a scholar, his lecture was informative, amusing, and encouraging. I look forward to reviewing it again when it is published in due course. A new Facebook profile picture, possibly. I reported last week about the Latin Mass Society Aylesford Pilgrimage. Joe Shaw has published a Flickr set of photos and written a report. Matthew Schellhorn, Director of Cantus Magnus which provided music for the Mass has also written a report for LMS Southwark North. There you can find my sermon on St Edward the Confessor. 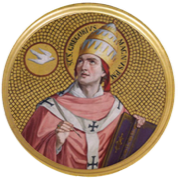 "That the canonisation of a saint is an infallible act of the Church's magisterium." is itself theologically certain. 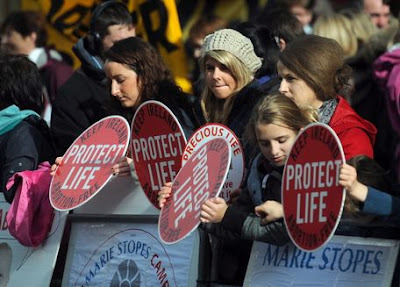 Pro-abortionists have long been determined to introduce abortion to Northern Ireland, despite the majority of people from both Catholic and Protestant communities being opposed. A Votive Mass of the Holy Angels will be offered in St Mary's Parish Church, Chapel Lane, Belfast, BT1 1HH on Tuesday, 30th October at 7pm. It will be offered with the intention of the closure of the new abortion facility in Belfast and the conversion of heart of those who would destroy their unborn children or help them in doing so. If I am late for Mass, at what point have I failed to fulfil the Sunday Mass obligation? For example if I miss the Gospel, have I missed Mass? 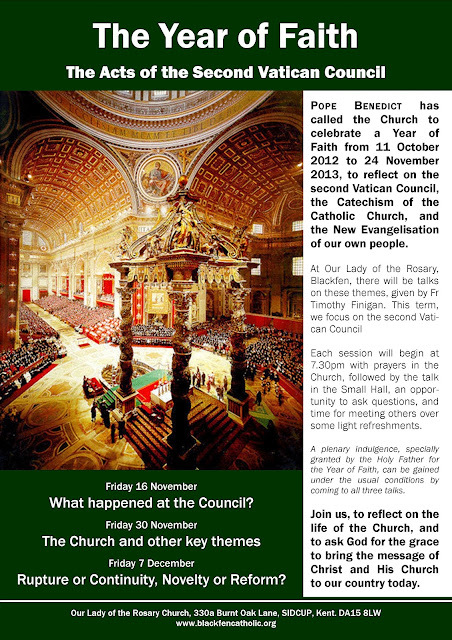 Poster for talks on Vatican II at Blackfen. We will be looking at the texts. 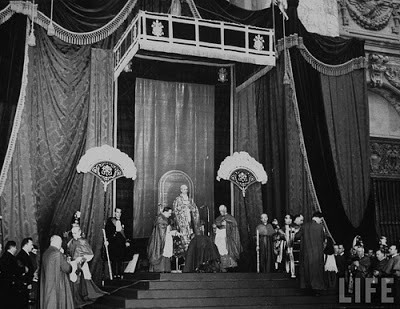 For some time, various pressure-groups have been urging us to rediscover Vatican II, to celebrate those halcyon days when everything changed and we realised that the Church of the fifties was dead and a new dawn was breaking upon us – a New Pentecost, no less. Now that the Year of Faith has begun, and many parishes are busily dusting off their copies of the documents of Vatican II, a new fear is beginning to stalk the land: “Vatican II fundamentalism.” There has been some nostalgia for the days when the young priest cast away his collar and took up a guitar, Latin was thrown out, and dissent from the teaching of the magisterium became widespread. 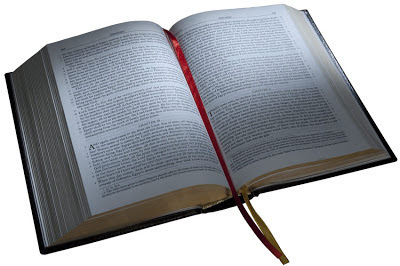 This is rapidly giving way to panic that the People of God might actually read the documents – this would be disastrous because they will not see between the lines to the hidden meaning, and will only read the bad bits. 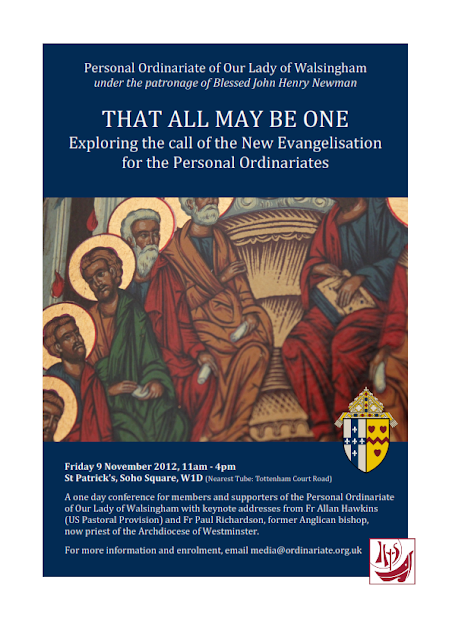 There is still just time to book for the Colloquium of the Confraternity of Catholic Clergy (details at the website) but you need to do so today, or tomorrow (Wednesday 17th) at the latest. As I mentioned before, there is a great line-up of speakers, including the newly appointed Bishop Egan of Portsmouth. With nearly 100 priests attending so far, this promises to be a great get-together. Baronius Press today launches its new edition of the Knox version of the Bible. Mgr Ronald Knox translated the Bible according to the classical English pattern (now found more commonly in the United States) rendering the text accurately into good English so that it would sound as if an Englishman had written it. Going out to see a good film at the cinema with friends is always a good night out. Even better if it is a private showing of a pro-life film and there are loads of other pro-life people there. So if you are free on Thursday 18 October, join Good Counsel Network and 40 Days for Life at Notting Hill. Good Counsel Network are in the good position of already having more mothers who want their help in keeping their babies, as a result of the 40 Days for Life campaign. They are always in need of funds for their direct pro-life work and the showing of the film will also help them with much-needed funds. 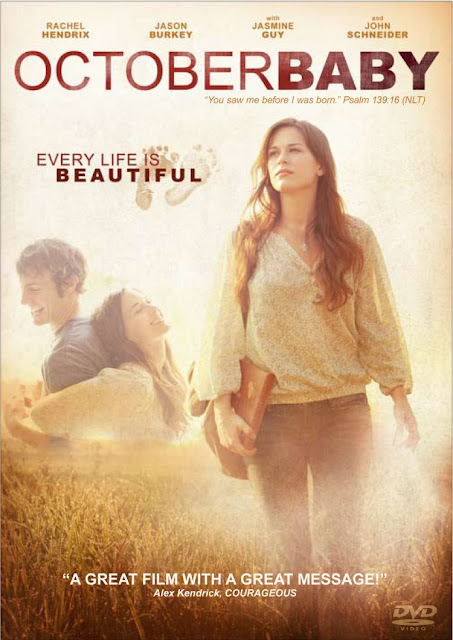 October Baby is a must see Pro-life film and will be showing for one night only at the Notting Hill Coronet Cinema, 103 Notting Hill Gate, London W11 3LB on Thursday 18th October at 6.30 pm. In June 2011, Fr Hunwicke stopped blogging because of a misunderstanding of the content of his blog, which he regretted. 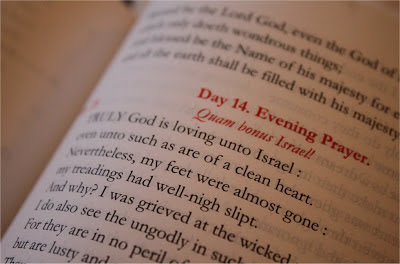 He did post the news of his ordination to the diaconate and the priesthood earlier this year, but has now, Laus Deo,started blogging again in earnest. 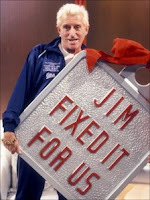 David Cameron could only dream of this sort of fervour when he delivers his big conference speech on Wednesday. The Coalition for Marriage petition has over 600,000 signatures to date. If you have forgotten to sign up, you can do so now. We had a wonderful day today, celebrating the Feast of Our Lady of the Rosary at Blackfen. First of all sung English Mass with the texts sung and a delightfully brisk "Daily Daily sing to Mary" at the offertory. Then Fr James Bradley of the Ordinariate of Our Lady of Walsingham celebrated High Mass, assisted by Fr Bernard McNally as Deacon and myself as Subdeacon. Fr Bradley managed to bring into his excellent sermon the battle of Lepanto, our spiritual battle today, and the place of the Ordinariate in the Church. After Mass, Christopher Lamb interviewed some of us about Vatican II for the Radio 4 Sunday programme to be broadcast next Sunday morning. He got quite a lot of material so it will be interesting to see how the piece is put together. I'll post a link when the programme is broadcast. 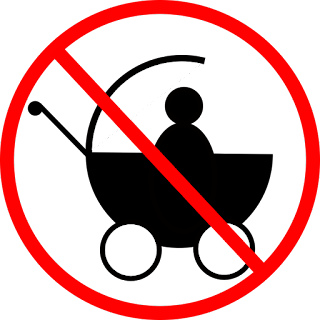 They teach us how sad and bitter it is to have abandoned the Lord God by sin (cf. Jer 2.19)They teach us how closely we are united to each other in ChristAnd therefore they encourage charity in us, especially when we apply indulgences to those who have died. This week’s Tablet editorial speaks of the texts of the Second Vatican Council as a “baseline” for any interpretative application of the Council’s teaching. Like me, you may be scratching your head, since the texts are the teaching of the Second Vatican Council, with the authority of the Bishops of the universal Church, confirmed and ratified by the Pope. Later we are told that the texts are not “legal documents or unalterable Holy Writ, once-for-all and perpetually binding.” Well no, none of those things. 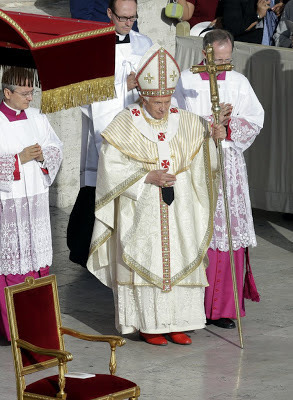 In practical, pastoral and prudential matters, the Council’s provisions are not perpetually binding any more than Lateran IV’s instruction to Jews to wear a badge or the Council of Vienne’s mandating of the burning of homosexuals. As was pointed out by a learned friend of mine, nobody today would want to invoke the spirit of Vienne. Fr John Chandler, a recently ordained priest of Portsmouth Diocese, must be somewhat nonplussed that his decision to withdraw the use of his Church Hall for a Pilates class that turned out in fact to be a Pilates and spiritual Yoga class, has led to a feeding frenzy in the world's press. 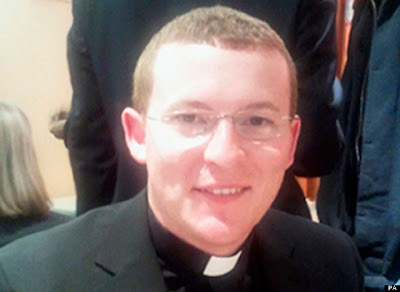 Fr Chandler is to be commended for his clear-sightedness and courage in taking a stand on this issue despite the storm of negative publicity. 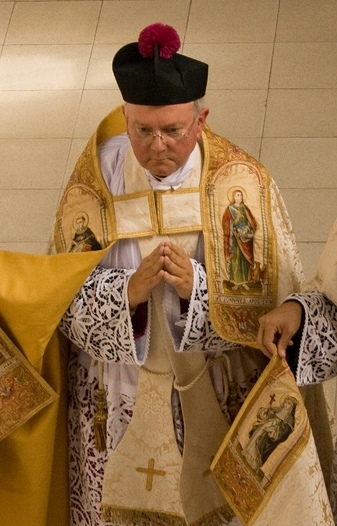 He is quite right to refuse to allow the Church premises to be used for something incompatible with the Catholic faith. I am sure that Bishop Egan, the new Bishop of Portsmouth, will be very supportive of his action.